BBC Two - Trust Me, I'm a Doctor, Series 5, Episode 2 - Should I try... hypnosis? Michael Mosley goes in search of the evidence behind some of the most popular complementary and alternative medicines. Hypnosis involves controlled modulation of components of cognition using the power of suggestion combined with a state of focussed attention. Hypnosis has a long and colourful history – and because of this, it’s often been dismissed as a cheap parlour trick. Michael witnessed the power of hypnosis first hand under the expertise of Professor David Oakley. He was first tested for his ability to respond to various suggestions whilst hypnotised using the Harvard Group Scale of Hypnotic Susceptibility. Following a hypnotic induction procedure he was presented with twelve suggestions. Some were easy to follow, such as being asked to imagine your hands being forced together; others were more difficult, such as being asked to experience amnesia. Overall Michael passed 11 out of the 12 items on the scale, placing him in the top 10% of the population in terms of responsiveness to direct suggestions in hypnosis. Most of us score in the middle of the scale with between 4 and 8 test items passed (the average is 5.6) and in most recent experiments looking across broad populations, there is no reliable difference in the way that men and women score. Scores of zero and 12 are rare. Michael described hypnosis as being very relaxing. He also noted that, though hypnosis is often portrayed in popular culture as being caught in a trance, his experience was that he felt free to resist the suggestions he was given, but just chose not to. While suggested experiences in hypnosis certainly feel real to the individual, they are actually created by non-conscious systems in the brain of the individual. Professor David Oakley is working with fellow psychologist Dr Eamonn Walsh, psychiatrist Dr Quinton Deeley and neuroscientist Dr Mitul Mehta to use hypnosis as a tool for investigating psychoses such as schizophrenia. Hypnosis can be used to produce false beliefs (delusions) in healthy volunteers – the kind that patients with certain mental health issues can experience. It’s hoped that through studies of this kind they can better understand mental illnesses, such as schizophrenia, and potentially find new ways to treat it. Then, while still under hypnosis, Michael was given a different suggestion: He was told to just pretend that someone else was controlling his hand. In experiments, this allows the researchers to compare brain activity patterns to see whether people who think their hand is being controlled by someone else are actually just pretending. Dr Eamonn Walsh, Dr Quinton Deeley, Dr Mitul Mehta and their colleagues at Kings College London have used both the automatic writing and the pretend condition with 18 individuals – only this time in an MRI scanner to see if they could detect any differences in the patterns of brain activity. When participants experience someone else controlling their hand when writing (‘automatic writing’), the parts of the brain known as the left cerebellum and left parietal cortex – and particularly the angular gyrus – become over-activated compared to when people are writing voluntarily (but also during hypnosis). Both these areas of the brain are associated with writing, but over-activations in these areas have also been observed in patients with schizophrenia who report similar symptoms, that their hand is “being controlled”. If a person experiences damage to their left angular gyrus, then they may even lose the ability to write. When the same participants (still under hypnosis) are asked to just pretend someone else was controlling their hand, the pattern of activation was very different. There was observed activity in what are known as working memory circuits in the front and back of the brain – the participants are just using their memory to remember what writing feels like. Hence, participants are clearly not just ‘playing along’ or pretending to be ‘writing automatically’, as the activity patterns in the pretend and the real condition are very different. Clearly hypnosis is a real phenomenon, but that doesn’t necessarily mean it’s a useful therapeutic tool — can it help you quit smoking or lose weight? Hypnosis is being recommended for irritable bowel syndrome. There is some evidence that it can help with weight loss and to relieve the pain of childbirth. More research is needed to establish what conditions are most likely to benefit from treatments involving hypnosis; we still don't have the large scale clinical trials that would allow it to be confidently recommended for many of the things it’s advertised for, such as smoking cessation. More studies are needed to establish precisely what types of hypnotic suggestion work best in tandem with existing psychological treatments, such as cognitive behavioural therapy (CBT). Despite the general lack of evidence, individuals still find hypnosis useful. If you do decide to choose hypnosis as a treatment you should seek out a practitioner who has training in a recognised health profession. They should be a qualified psychologist or psychiatrist and should be registered with a regulatory body to which they’re accountable. When should I try hypnosis? 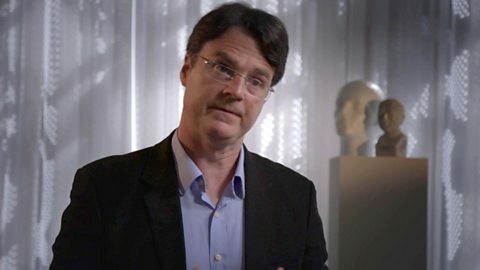 Michael Mosley talks to Dr Quinton Deeley about the evidence for hypnosis. Hypnosis is a tantalising research tool that has huge potential as a clinical tool. However, the lack of convincing evidence from large scale trials means it can’t be recommended for most of the things it’s sold for, such as smoking cessation. Having said that, it may still work for you, although it hugely depends on how suggestible you are. Should we avoid saturated fat? View Should we avoid saturated fat? View Should I avoid sugar? View Should I avoid salt? Should I avoid saturated fat? View Should I avoid saturated fat? View Is there such a thing as a safe tan? What can I do about age-related hearing loss? View What can I do about age-related hearing loss? Should the drink drive limit in England, Wales and Northern Ireland be lowered? View Should the drink drive limit in England, Wales and Northern Ireland be lowered?